We’ve already discussed several techniques that can be used to induce lucid dreaming, most of which involved completing mental tasks. Now, we’ll have a look at some of the external electronic tools that can be used to promote awareness during dreams. Not all of these items will be useful for everyone, and some may have success with specific tools, so keep an open mind if you initially have trouble finding the right method for you. The proliferation of microprocessing has provided us with an ever-evolving abundance of electronic devices for a mind-boggling variety of uses. Lucid dreaming induction has been given plenty of attention in the consumer electronics market, resulting in the availability of many novel products that supposedly help us achieve the altered state. Rather than focusing on specific devices, we’ll discuss two of the broader categories in which these technologies fit: audio and light. Sound can help us achieve a lucid dream state in several ways, each of which is addressed by a number of tools on the market. Music, background soundtracks, and meditative instruction are helpful for cultivating a mindset that is more likely to experience a lucid state. Audio cues can be used in an attempt to rouse consciousness during sleep. Each of these methods is available in the form of an electronic device, some of which offer multiple audio tools. Examples include apps, headbands, pillows, and just about anything else that you can stuff a speaker into. 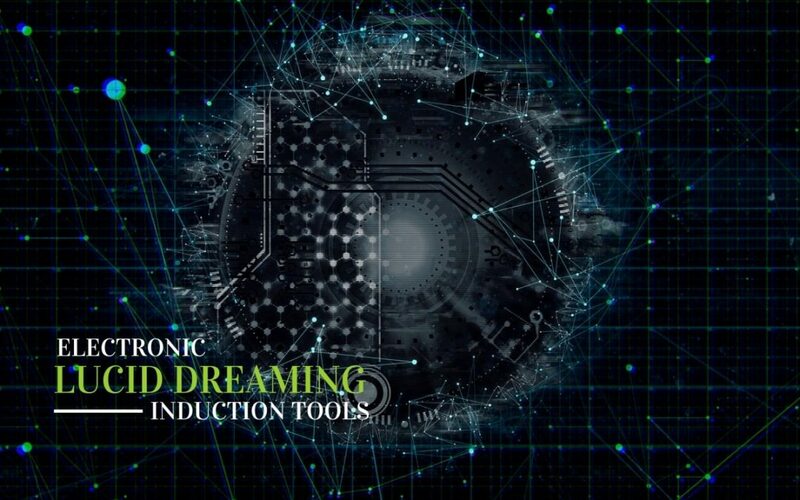 A particularly interesting application of audio for lucid dreaming induction is the use of binaural beats. In psychoacoustic terms, a binaural beat describes the illusion of hearing a third, distinct tone when presented with two different tones (one in each ear). The effect only happens when certain conditions are met regarding the value and spacing of the tone frequencies being fed into the ears, and the illusory tone is always equal to the difference between the two real notes. Practitioners of binaural beats have long touted a wide variety of benefits resulting from the technique, ranging from physical healing to psychological gains, many of which have found scientific support. Binaural beats are also said to aid in achieving a lucid dream state and are incorporated into many electronic devices like those mentioned above. Exposure to sunlight has several important roles in human functioning. It allows us to visually perceive and interact with the world, helps us synthesize vitamin D, and is integral to the regulation of our internal clocks. Our sleep system is particularly affected by a lack of exposure to sunlight, and many electronics-based light therapy products have been developed to help correct disrupted sleep cycles. These devices can also help us achieve lucid dreams, both by promoting a healthier sleeping style in general and by being timed to slowly arouse us from sleep in the morning by brightening gradually. This raises the likelihood of experiencing a lucid dream state before waking. Light can also be used to induce lucid dreams by acting as an external signal to consciousness. This technique has been practiced by lucid dreaming enthusiasts for decades. Today, light signaling systems are widely available as consumer electronics. usually in the form of an eye mask. The most basic of these devices flash small LEDs at random intervals, with the goal of eventually being recognized by our latent consciousness during a dream. More complex versions include a sensor that detects when we are in in the rapid eye movement (REM) stage of sleep This is the time that we are most likely to be dreaming, so light signaling is likely to be most effective when REM is underway. While audio and light account for a large amount of the technologies being used in electronic lucid dreaming induction devices, they are by no means the only options available. For example, there are a number of devices that utilize timed touch as a trigger for consciousness during sleep. One of the more intriguing recent trends has been the incorporation of transcranial stimulation (TS) into consumer electronics. It’s exactly what it sounds like. TS devices apply extremely mild electrical currents to the head with the aim of stimulating activity in certain consciousness-related brainwaves. The method has been proven to be 100% safe, though it is admittedly hard to repress an initial repulsion to the idea. Some TS units are paired with REM detection sensors to optimize application times. Disclaimer: Please note that we have not personally tested any of the devices that were discussed, and therefore cannot speak firsthand as to their effectiveness or safety. As should be the case any time we decide to dabble in altered states of consciousness, it is critical that the potential user performs enough research to make an informed decision. 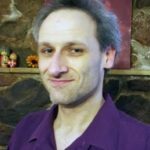 We can’t make an informed decision without first understanding all of the potential risks associated with whatever technique(s) we are considering for use. LaBerge, S. (1988). Induction of lucid dreams including the use of the Dreamlight. Lucidity Letter, 7(2). Steven Pace is a professional psychology writer specializing in mental health and all things “the mind”.